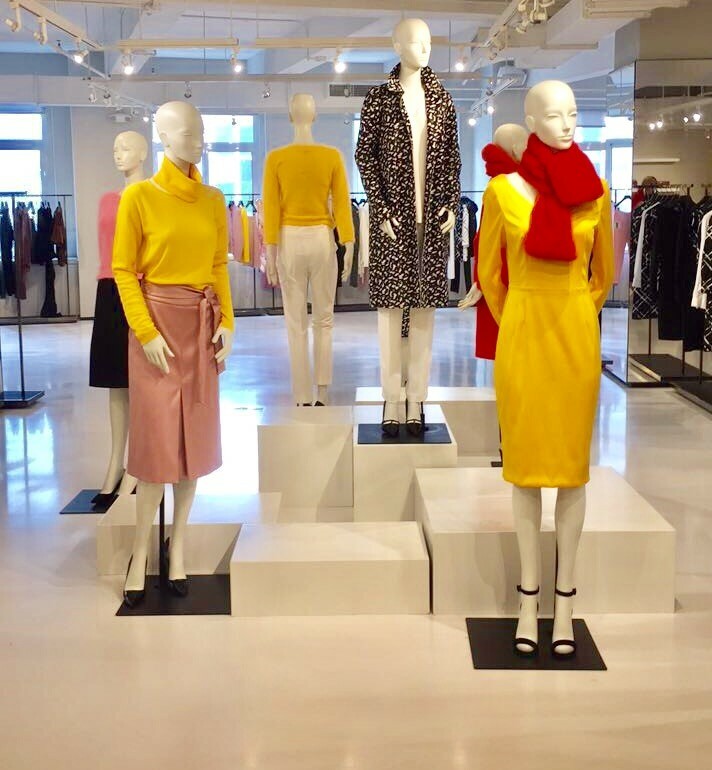 On a dreary afternoon, I had the pleasure of a personal walk through of the Escada Resort 18 collection, exclusively at the Escada showroom. Immediately walking in my mood completely changed as the colorful looks that greeted me at the door were a welcomed replacement to this bi-polar New York City weather. From first glance, I was overwhelming pleased at what I was about to witness. The direction of the brand led under a new CEO seems to be working as every piece was perfectly tailor-made. 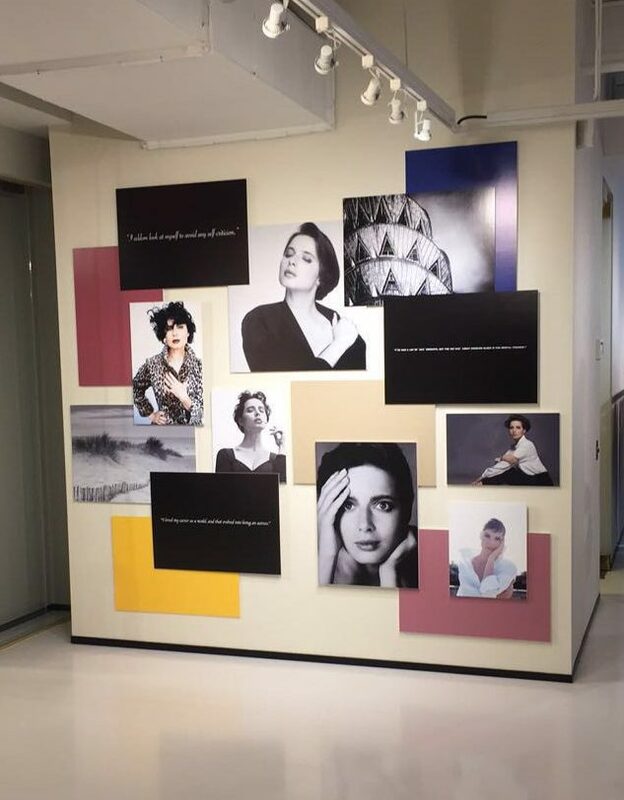 The design team took notes from Isabella Rossellini which you can see in the above photo of the Escada vision board. 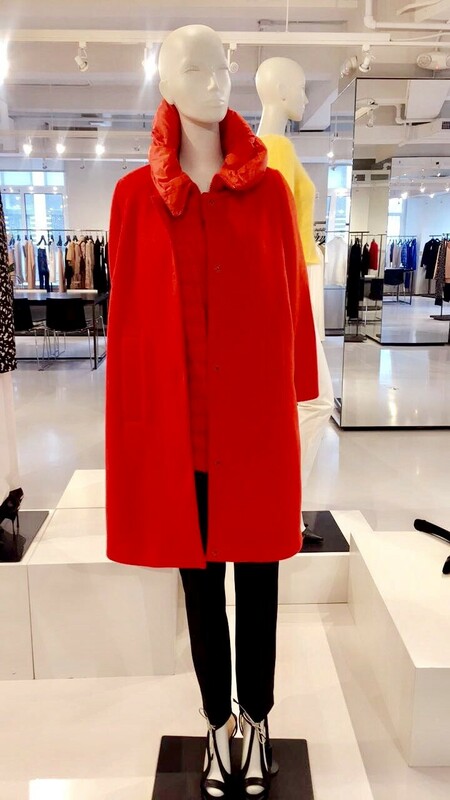 Isabella Rossellini had the ability to mix both feminine and masculine pieces with such ease which was well executed throughout the collection. 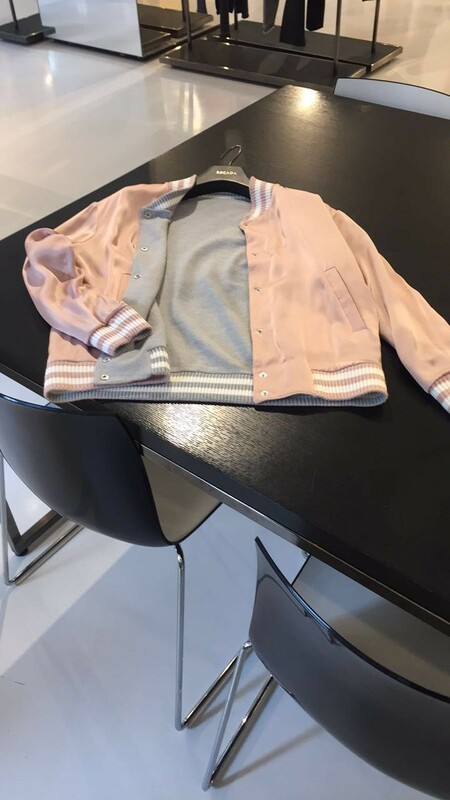 The collection was made mostly of classic cuts in citrus colors and beautiful patterns which again in the weather we are experiencing would help brighten up any day. 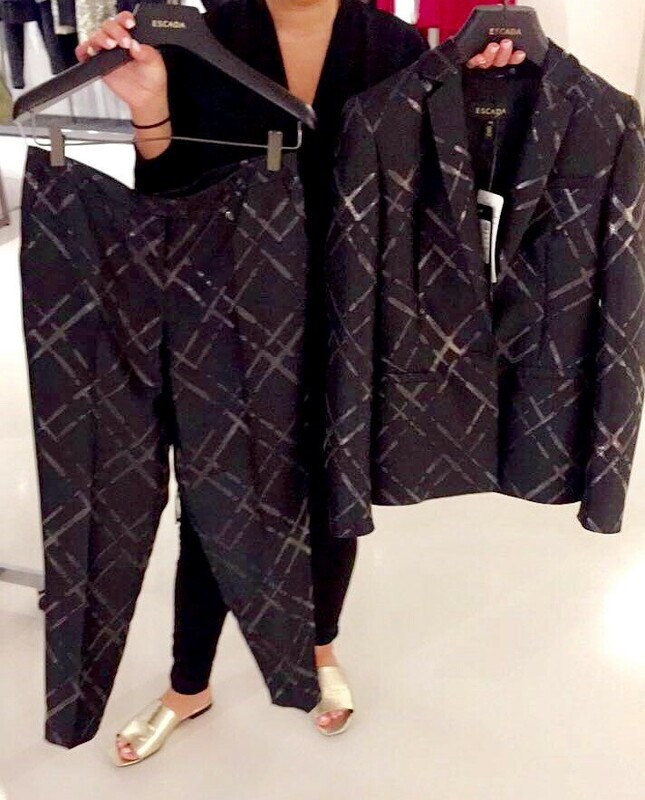 The new line of lounge wear aka the “PJ Look” is an upgrade from wearing sweats and can easily take you from the plane to a dinner date. 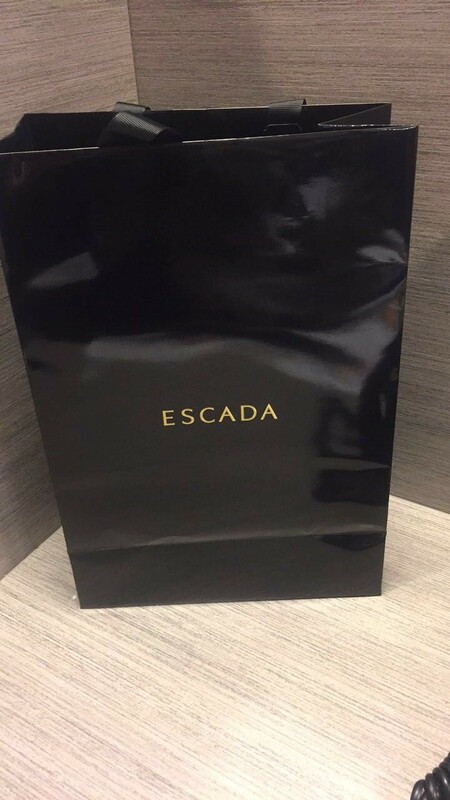 All items are wrinkle free and packable (great use for carry-ons). What goes best with the satin lounge wear look?! 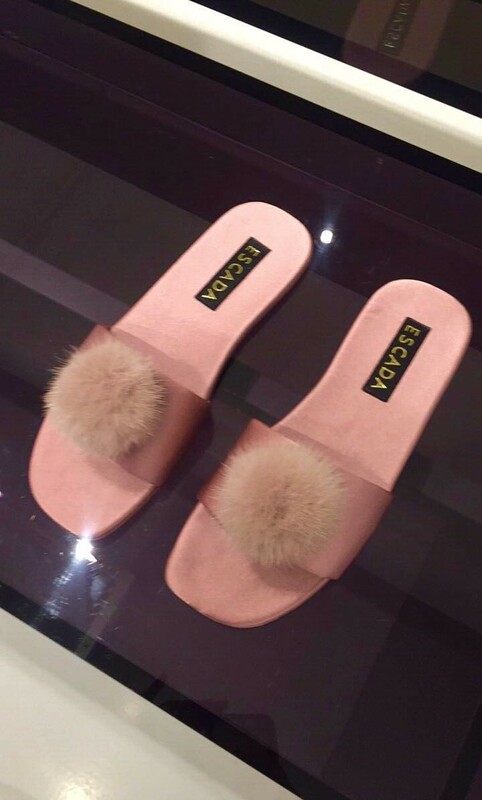 Well, you must have the satin fur ball slides to go with. Other Notable stand out pieces l to r: Dusty rose cardigan with matching fur stole, 3 piece sweater look (absolutely loved), reversible track jacket and 2 piece orange coat. 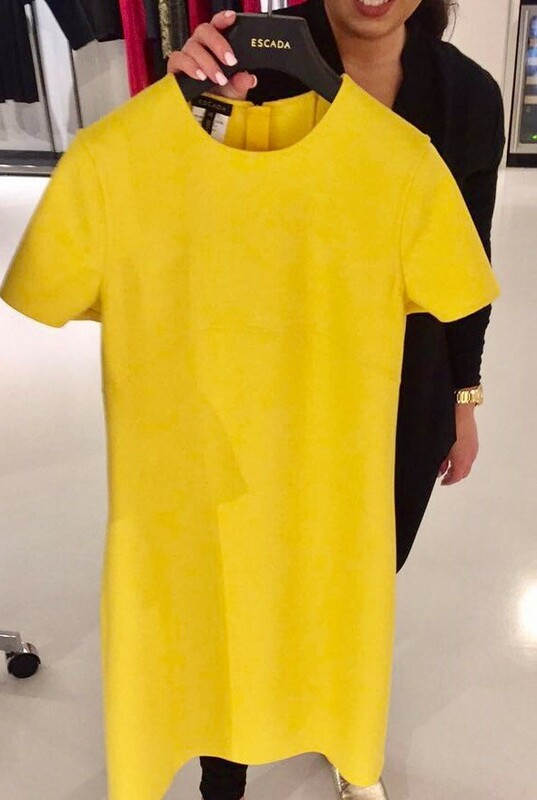 Love a good gift and it happened to be in my newly elected favorite color! 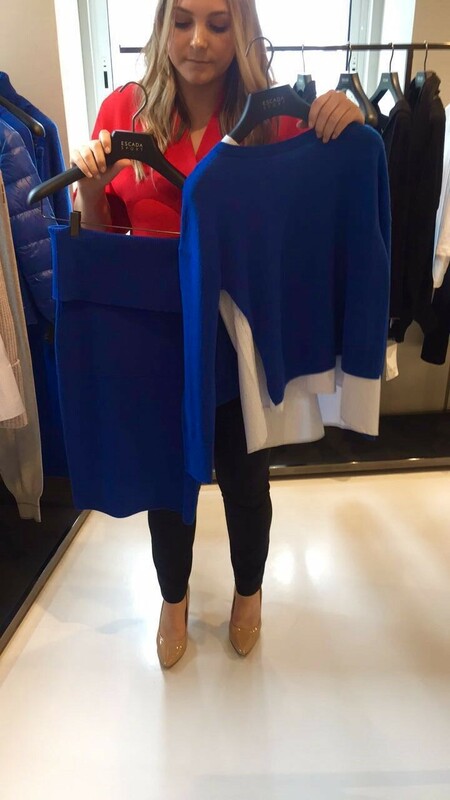 I thought the collection was well made and covered all basis for every woman. 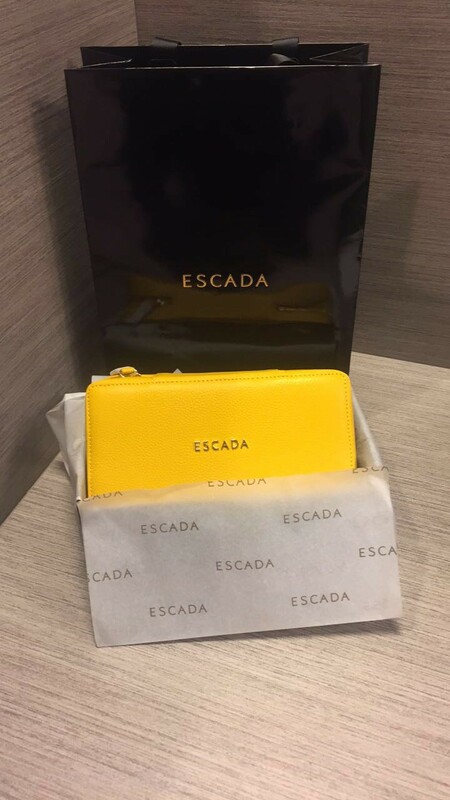 Escada has something for all aspects of our lives. Keep an eye on them!